Water and waste water Treatment process professionals team introducing free software for designing Water and waste water Treatment Plants, Water Treatment Plant installation, Water Treatment Process, Water Treatment System operation and Maintenance for water treatment plant and waste water treatment plant from low level capacity to high range capacity. Water Treatment Free software Filmtec reverse osmosis water treatment membrane and Hydronatics reverse osmosis water treatment membrane for Brackish water and sea water. From the water treatment tools software we can find pump flow rate and head pressure as per the required our water treatment plants. 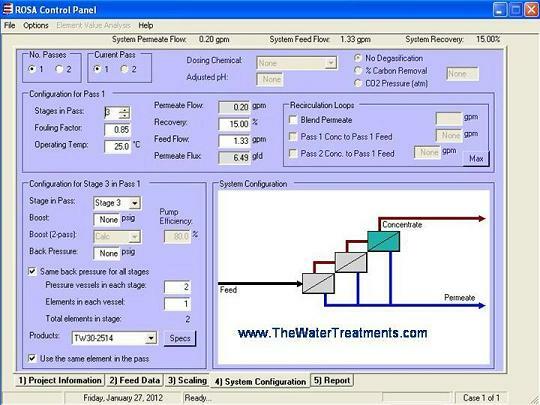 This Water Treatment software give the concentration and flow rate of dozing chemicals like Antiscalent, Acid, Caustic soda and Chlorine.